Keep Your Body Health- Drinking plenty of water is a major key to your health. Easy, right? Not so fast. Ditch those plastic water bottles – they may be a toxic risk! 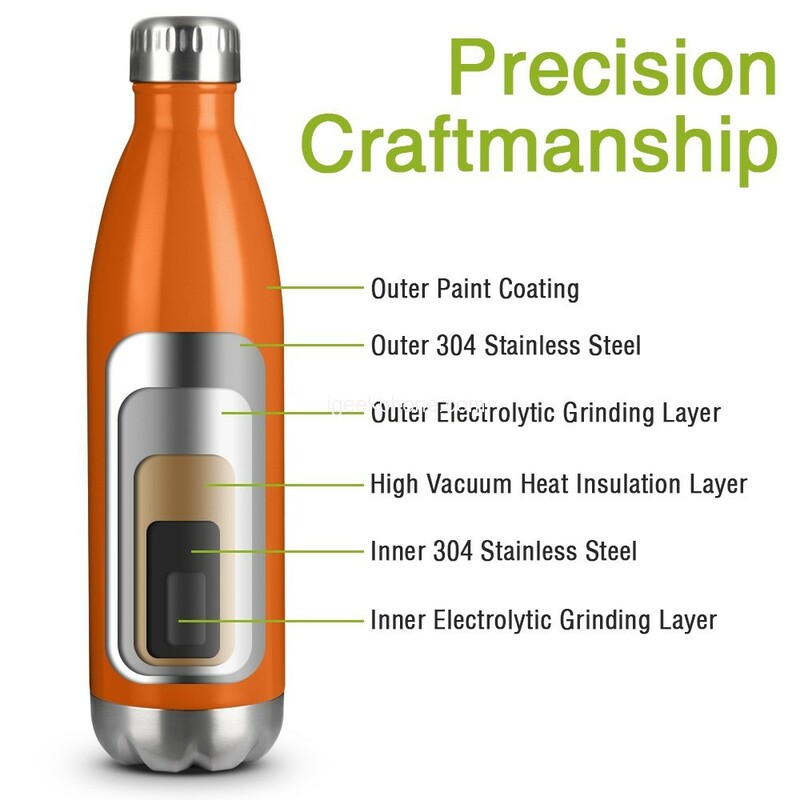 Zanmini Steel Cola Vacuum Insulated Water Bottle is with BPA free. No nasty chemicals, no harmful toxins. Save Your Money – Do you like saving money? Bottled water seriously adds up. 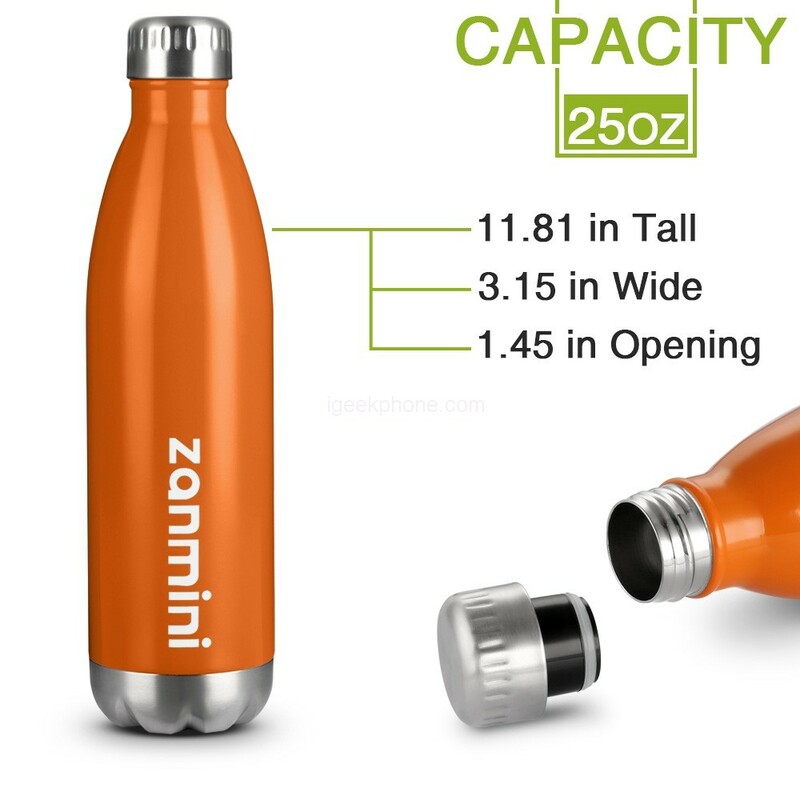 Your Zanmini water bottle will pay for itself in just weeks! Protect Our Earth – Disposable bottles are everywhere. And we don’t just mean in stores. They’re in our oceans, at our parks, and along our highways. You can make a difference – ditch plastic! 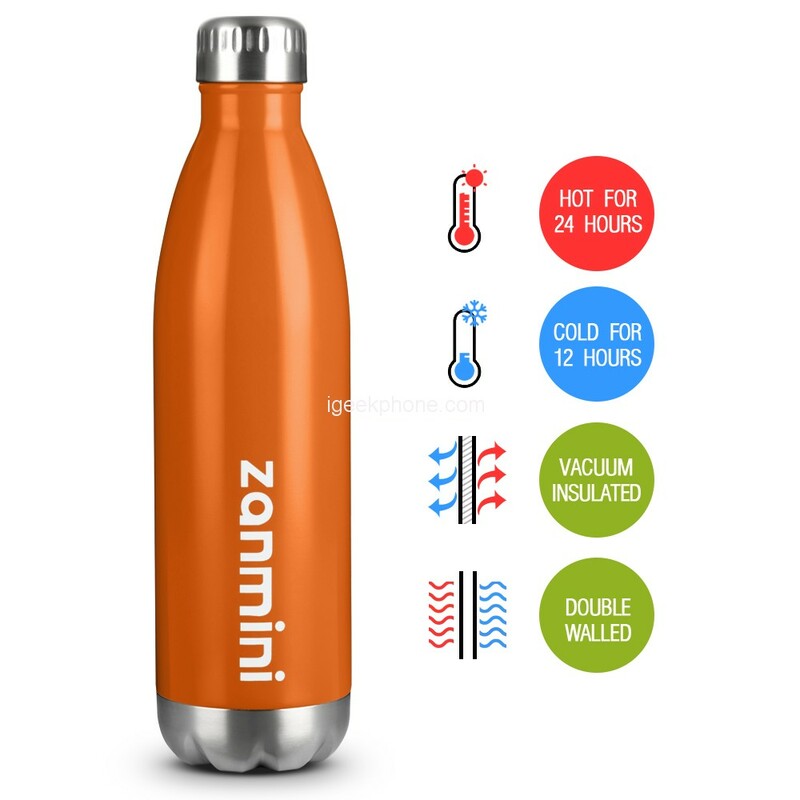 Zanmini water bottle has vacuum layer (negative pressure) in between 2 walls of premium kitchen-grade 18/8 304 stainless steel, it is with copper coating for even better and more even insulation, it also prevents an condensation on the outside. The cola bottle is non-toxic, made from premium food grade 304 stainless steel. The bottle will never leave a bad metal taste in your mouth. No bacterial attachment to ensure a healthy and safe drinking. 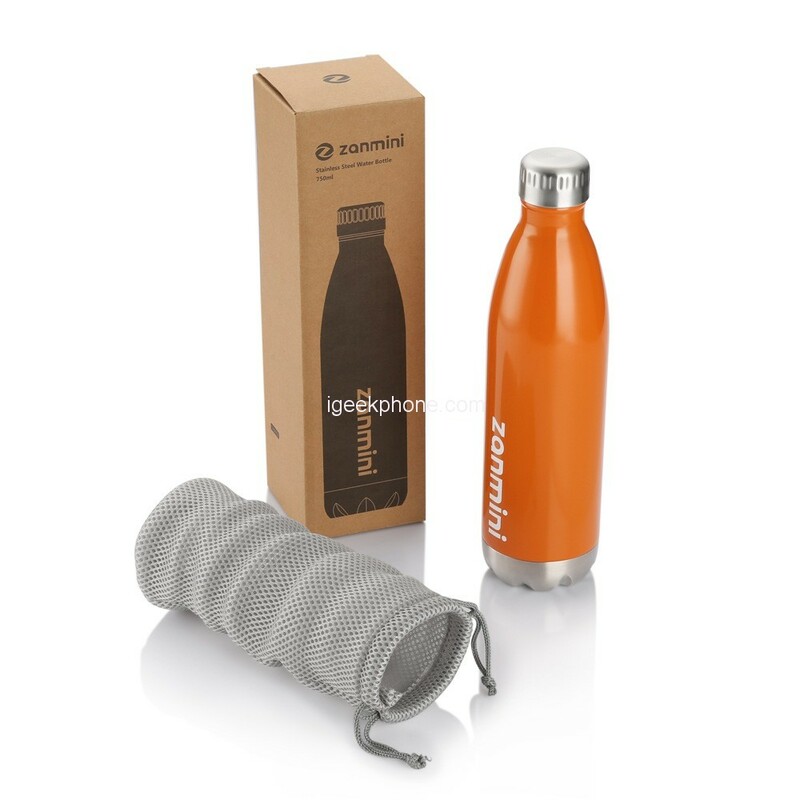 The bottle is break-resistant and sturdy enough to withstand falls and impacts. Carry it wherever you want. An unrivaled inner container can keep your drinks hot and cold throughout your day. Exceptional double-walled vacuum insulation technology with vacuum-seal cap maintains your drinks’ temperature up to 24 hrs and keep your drinks cold up to 12hs. What’s more, the bottle won’t even be hot or cold to the touch no matter the temperature of the liquid, safe and secure for your hands and always ready to use. Compact and lightweight. The bottle is easy to hold in your hands. 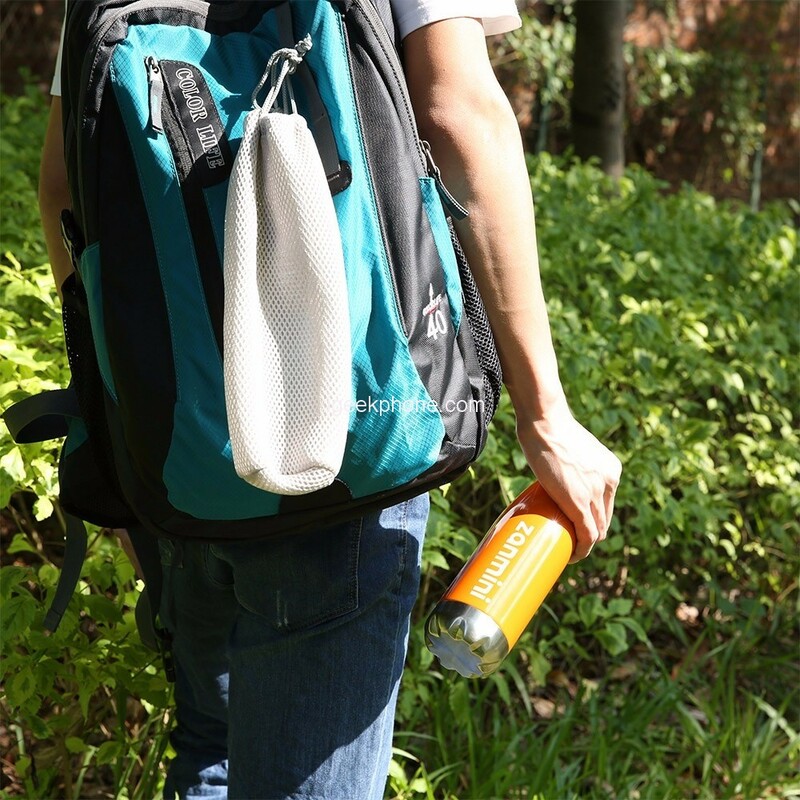 With a portable carry bag, you can take your bottle anywhere. The perfect tool for your gym bag, car, bicycle and backpack, a pleasant accessory to enjoy your long hikes, trekking, hot yoga class, long road trip, or any other outdoor activities. It also fits in most auto cup holders. The trendy shape and cool design, as well as brilliant and solid color surface, makes the bottle both innovative and functional. The cola bottle has a great personality and becomes a stylish container for your home, office, work out, outdoor trips and more. An original gift idea for friends and family, and the perfect present for yourself.